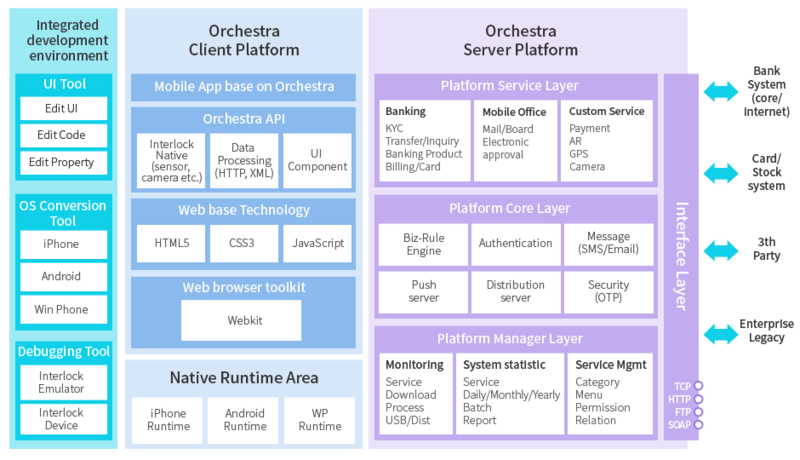 Orchestra is a Hybrid Framework that combines the merits of Native Application and Web technology. It is an ideal cross platform that supports various smartphone OS environment and reduces application development / operation cost. 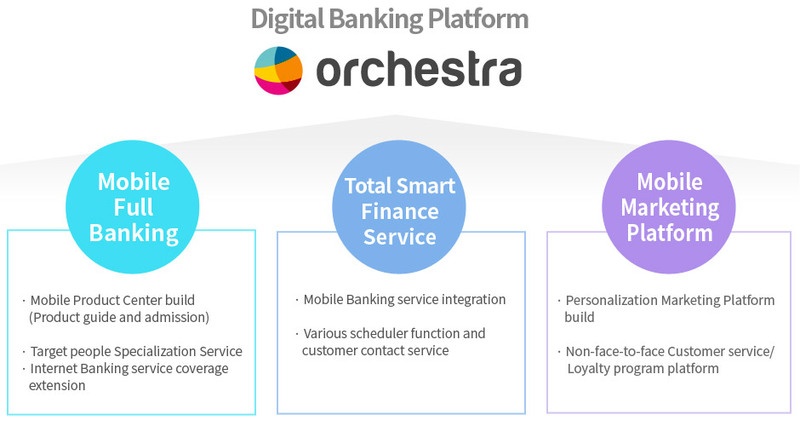 The orchestra is a ‘digital banking platform’ based on the experience of building a banking system for over 16 years. Accessibility is easy by applying web table (HTML5) based on W3C (Web standard) establishment recommendation method which is intend to strengthen intuitiveness. We have developed standardized Hybrid App utilizing the main application technology considering Native APP aspect. FINGER VINA successfully performs the best digital banking business for the 4th Industrial Revolution Period such as Big Data, Artificial Intelligence, and Internet of Things. 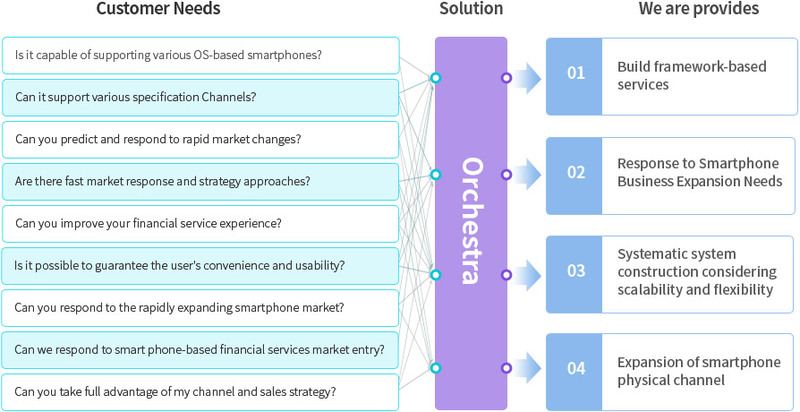 The Orchestra offers a variety of technical and business design ideas to ensure optimal system construction by ensuring quality assurance, productivity and ease of maintenance, portability and scalability, reliability and business flexibility. 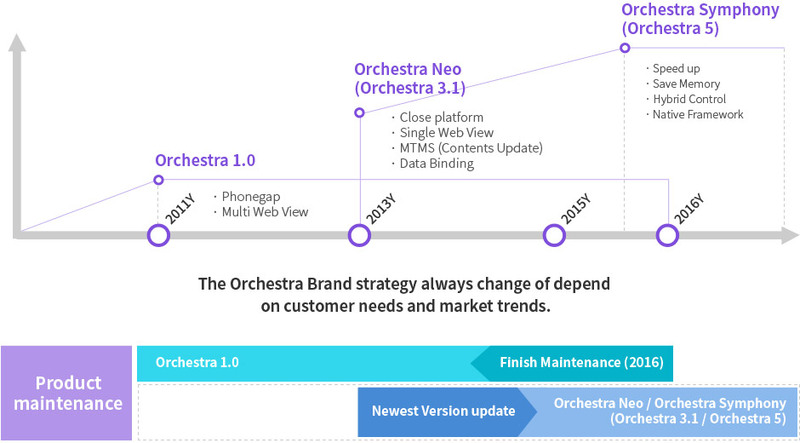 Staring from Orchestra 1.0, hybrid method using PhoneGap, in 2011, we built proprietary orchestra cross platform named Orchestra Neo(Orchestra 3.1) with the continuing brand name in 2013. 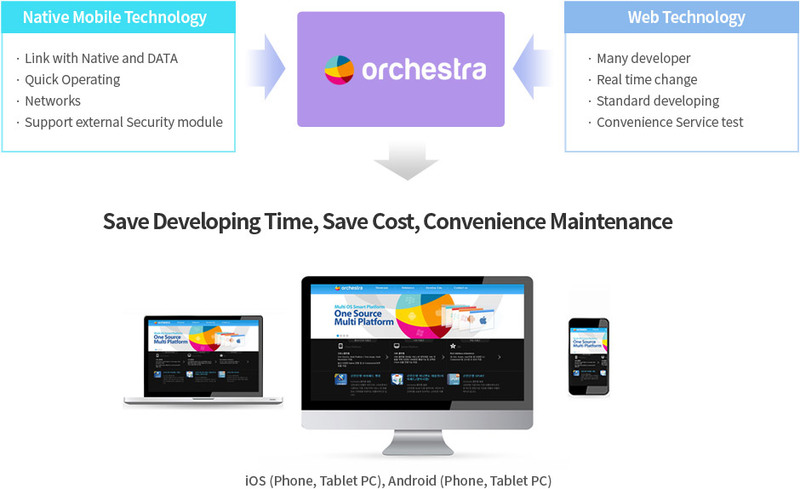 Since then, we release Orchestra Symphony(Orchestra 5) which is upgraded to ensure stability and convenience, including various features. Increase sales and vitalize integrated financial transactions through acquiring loyal customers and attracting new customers. By leading the domestic financial market through services, provide fast and easy smart banking service. – Smart OTP, Simple remittance etc. – Wearlable Banking, Social Banking etc.